This harbor patrol and rescue boat will always be there to put out any fire orsquirt a relaxing sunbather. 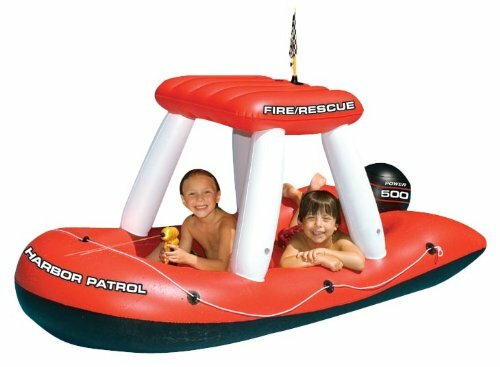 Fireboat squirter is big enough for a captain anda first mate and comes with a water gun that never needs refilling. Made ofheavy gauge PVC.